Look no further for answers to some of the most common questions about Cedar Oil. Don’t see what you’re looking for? We’re happy to help! Just give us a call at 1-888-824-5316 or send an email to support@decksdirect.com.  Where can I buy Cedar Oil? DecksDirect.com is proud to be the exclusive retailer of Cedar Oil. We will ship directly to your home or job site! 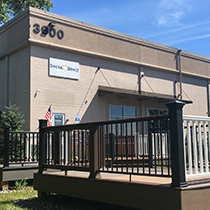 If you’re located in Minnesota, you can come in to our Twin Cities location to see a deck treated with Cedar Oil and pick up everything you need for your project.  How warm/cold can it be when I apply? It should be between 45° and 80° when applying Cedar Oil.  How long does it take to dry?  Help! My deck is tacky, sticky, dark and shiny. 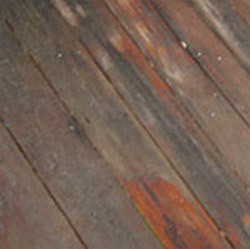 If you forgot to wipe off excess Cedar Oil, clean the surface with Penofin Pro-Tech Cleaner and allow the wood to dry. Then apply a light coat of Cedar Oil, remembering to wipe the surface this time!  It started raining while I was applying. What do I do? If small water spots are visible on the wood’s surface, you can remedy the situation by washing those areas with Penofin Pro-Tech Cleaner. This can be done while the wood is wet. Allow the surface to dry, and then lightly apply Cedar Oil to any areas that look blotchy.  How long can I expect Cedar Oil to last?  Can I use Cedar Oil in my area? While Cedar Oil is great for old and new cedar in many projects, unfortunately it is not permitted in some California counties due to VOC regulations. VOC stands for Volatile Organic Compound, which refers to a drying agent used in Penofin. It is what gives stain its strong smell and it emits gases into the environment. State and local EPA (Environmental Protection Agency) officials regulate VOC product sales. For a zero VOC product, please purchase Penofin Verde Interior/Exterior Formula. If you have questions about VOCs, please call DecksDirect.com at 1-888-824-5316.  Can you overnight Cedar Oil to me? No, unfortunately we can only ship Cedar Oil via ground transportation. Time in transit varies based on your location; estimated delivery times are shown at left.